Singapore tops the list of ‘great small countries’ with outstanding examples of modernity, technologies and brains. 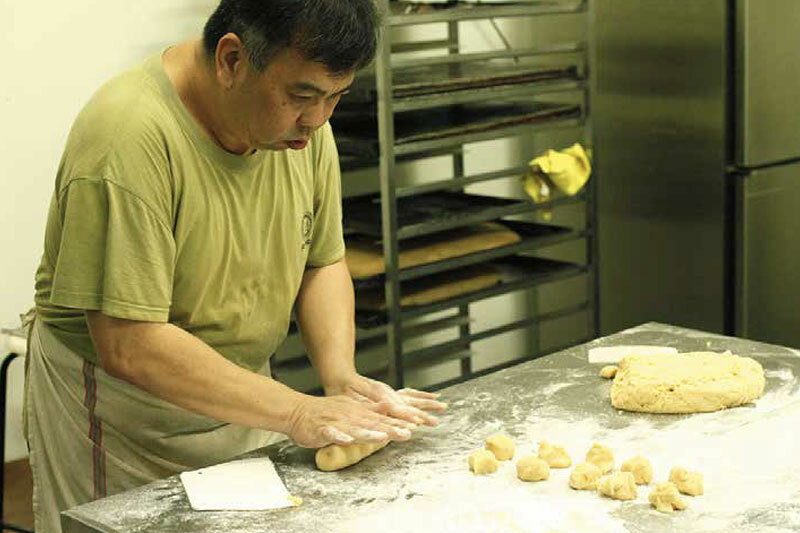 Amidst all things modern however, Singaporeans now find meaning in the craft of edibles. You can say that the brain has a great ability to discern the good from the bad. But it is the stomach that “holds” your heart. 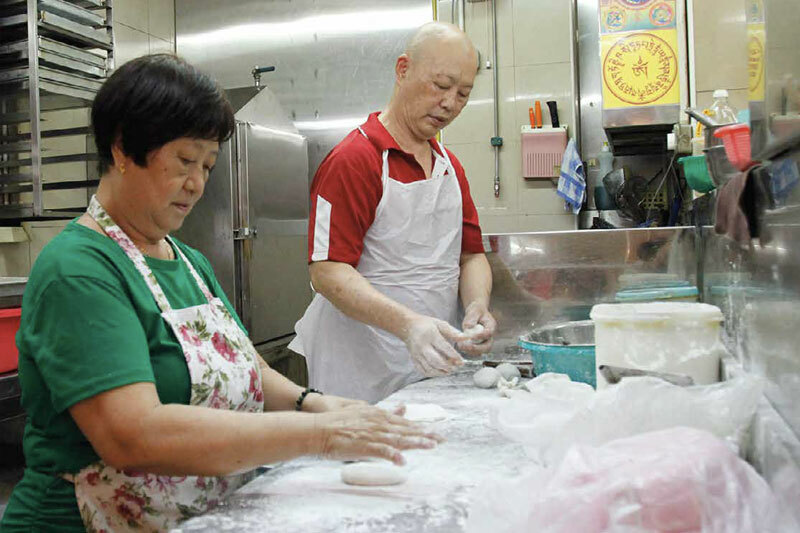 The art of making good and delicious food does not have to be at all fancy, it is genuine sustenance and its old recipes that have not only made them survive, but also thrive amidst modern Singapore. Younger generations here, despite their aspirational education and high-paying professions, are seeking out the tradition of crafted foods. We now see the swift rise of artisanal eats in Singapore becoming as prominent as their economic prowess. Reading about the Lion City leads you to two main points. First, this island nation has a reputation stacking high with its long list of being the regoin’s, if not the world’s, centre stage in so many aspects. Finance trade, technology, and medical technology, they lead as a smart city or leader – even as a maritime port or in oil-refining. Earlier this year, CNBC confirmed that Singapore, for the fifth year in a roll, maintains its long-standing position as being the world’s most expensive city to live in, making it official that this place is even pricier to have a life in than New York, London and Paris. But then, if you talk to any Singaporean, or any food-obsessed native, you will notice one thing. The younger generations now favour hawker food, whose stands serve as the place where a multitude of tasty and satisfying bites can be savoured at good value. 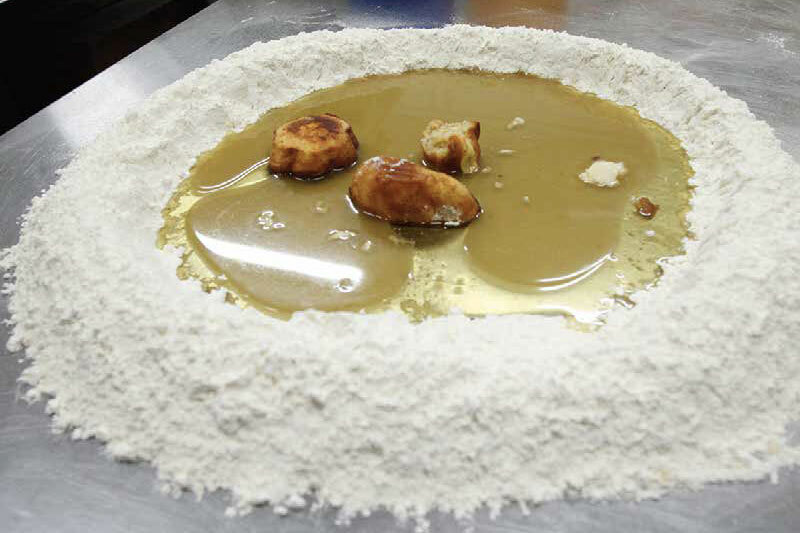 This creation of authentic food follows or sometimes develop from ancestral recipes. Our four days in Singapore confirmed the fact that the city is exorbitantly pricey. Museums here do not offer a ‘free day’ of the week, and admission can cost up to S$26 per adult. Taking a taxi can produce a real sweat, especially if you are hurrying into the city centre while their smart road-congestion managing system or ERP (Electronic Road Pricing) ticking up the metre for the final cost. But when it comes to food, we are pretty impressed. There are a lot of great and delicious foods at amazing values. And we are talking about real artisanal and hearty fare that is available to everyone. The curry puff as a snack well represents Singapore with a mixture of Malay and Chinese characteristics. Spices came from its trading background, when its fragrant migration dominated its maritime ports. At Wang Wang Crispy Curry Puff stall at the Old Airport Hawker Center – perhaps the oldest part of Singapore – the puff pastry gets rolled by hand, stuffed with fillings and then speedily crimped before being deep-fried. 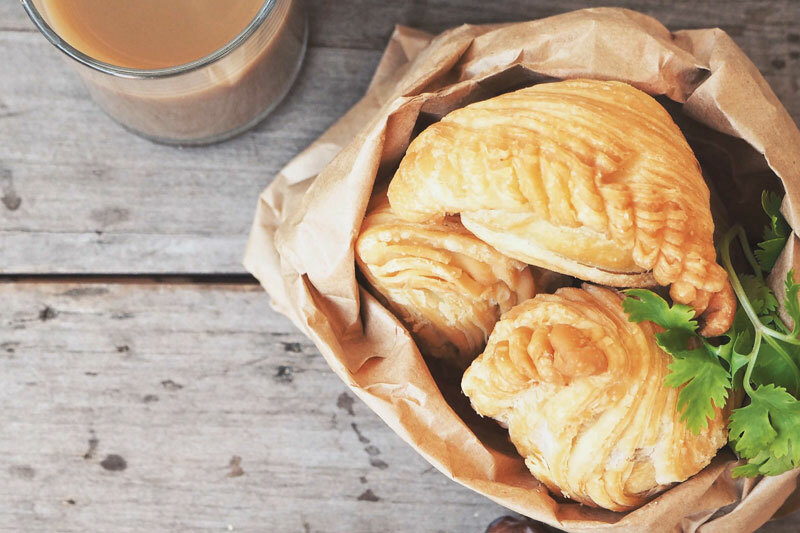 The crispy, flaky and very yummy treat will cost you just about S$1.20. 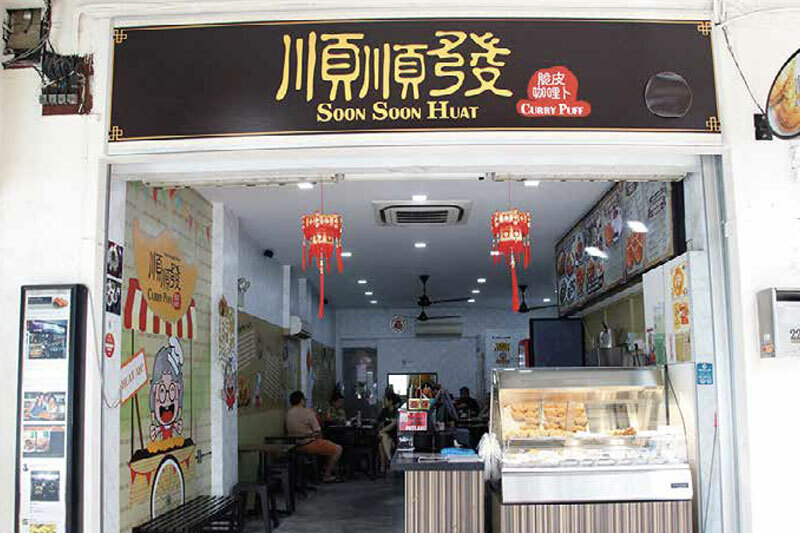 But if you are up for more, like chunkier pieces of chicken and potatoes, or creamy custard and luscious durian puffs, head to the air-conditioned Soon Soon Huat on East Coast Road in Katong area. A daughter now continues her grandmother’s recipes with a modern flair. A coffee or tea set with a signature handmade puff will cost you just S$2.60. The obsession with handmade edibles continues with many things in Singapore. At Jalan Kukoh Food Centre not too far from the Chinatown, a nondescript Teochew Kueh shop is busy taking orders and turning away those who did not call and order in advance. 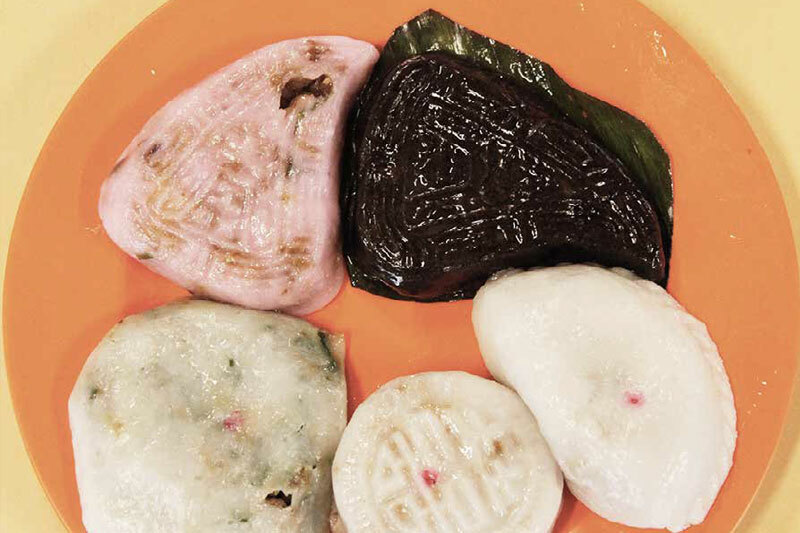 Teochew Kueh, a type of steamed dumpling, has skin made from rice flour and the stuffing varies from bamboo shoots, turnips, dried shrimp to chives and yam. As you might guess, this stall makes every single thing by hand. Hand-kneaded ‘kueh’ skin, with hand-chopped ingredients and stir-fried fillings make their way into each delicious treat that will cost you just about a dollar each. 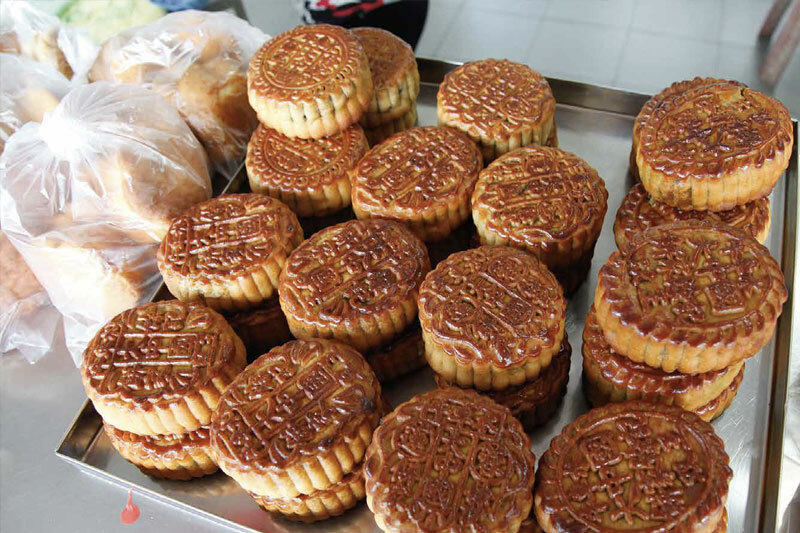 Apart from the homemade lotus paste, Tai Chong Kok is also a master in recreating nostalgic treats. This is my first time biting into the crispy, yet with a bit of chewiness, savoury cookie called ‘baby chicken cookie,’ or ‘gai zai pang.’ It’s made with traditional ingredients, including lard and preserved red bean curd, hence its distinct sharp aroma and texture. This particular cookie recipe might have been a century old, going back to the time Chinese settlers here would have asked for a fresh brew of strong and fragrant tea to go with it. Nanyang Tea, a particular tea blend which has become truly native to Singapore, is the one local staple that can best tell the story of this nation. It’s about thinking ahead, backing it up, improvising and comparing. 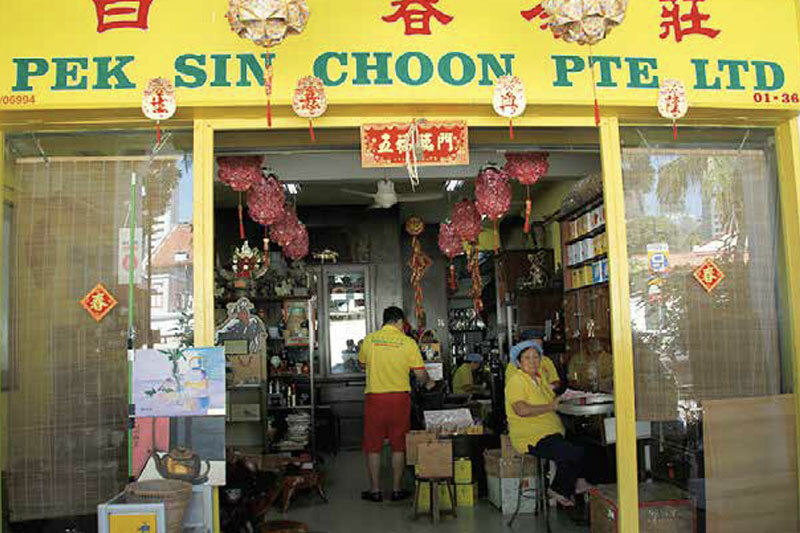 Instead of depending on just one resource for teas that could peril its supplies, Singapore tea merchants decided to blend their own, using a variety of teas from different places, thus reducing their risk of overdependence on one source. So they made their very own series of this healthy and ambrosial tea. 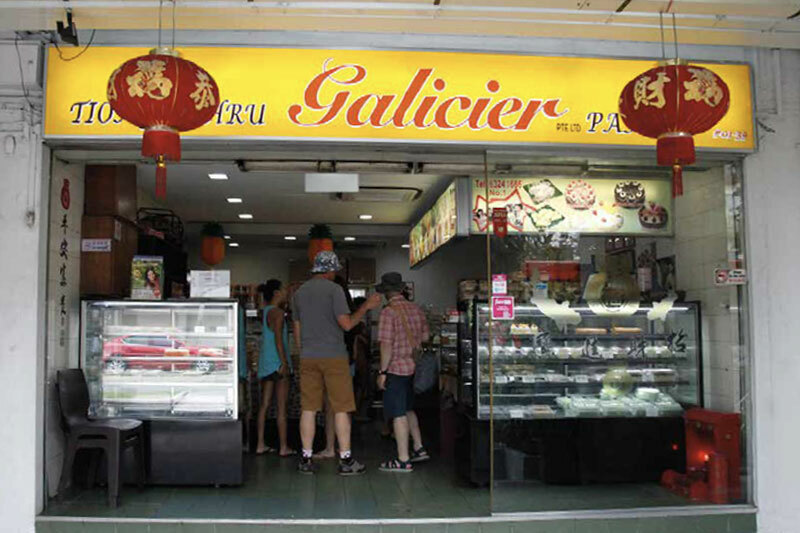 Try Nonya kueh and mango cakes and other Peranakan pastries at Tiong Bahru Galicier Pastry, Block 55, Tiong Bahru Road, T+65 6324 1686, daily: 10.00-21.00 (closed Mondays). อย่างกระหรี่พัฟ การผสมผสานระหว่างวัฒนธรรมมาเลย์และจีน ให้ตรงดิ่งไปยังร้าน Wang Wang Crispy Curry Puff ใน Old Airport Hawker Center ทางร้านแป้งนวดแผ่นบางใส่ไส้น่าทาน จับจีบอย่างรวดเร็วด้วยความชำนาญ แล้วทอดจนเหลืองกรอบ ทั้งหมดนี้ซื้อได้ในราคาเพียง 30 บาท!